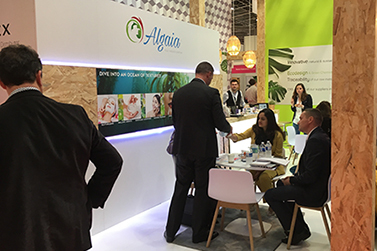 In partnership with Unipex, Algaia presented all its texturizing solutions from carrageenans to alginates and blends for the cosmetic industry at the last In-Cosmetics Global in Paris . The international annual event for the cosmetic industry was the opportunity for Algaia to bridge the ever-decreasing gap between the food and the cosmetic industries and showcase its latest COSMOS-approved products. By bringing all its expertise in terms of film forming solutions, rheology modifiers, binding agents, Algaia responds with green options to the needs of this dynamic and innovative sector.